Reflection: For EDU 255, one of our assignments for the Lab D assignment was to design and put up a bulletin board in Park Center. 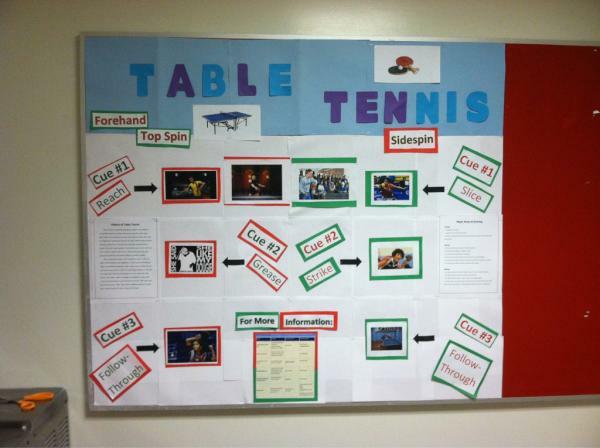 Eric Banks and I were assigned to teach table tennis for our Lab D so we worked together on the bulletin board. 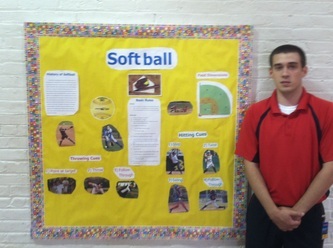 On the bulletin board, there are two separate sets of cues demonstrating how to put side spin on a table tennis ball and how to put top spin on the ball. The history is of table tennis and the rules are also displayed on the bulletin board. There is also a chart showing local areas where students can go to further their table tennis knowledge. 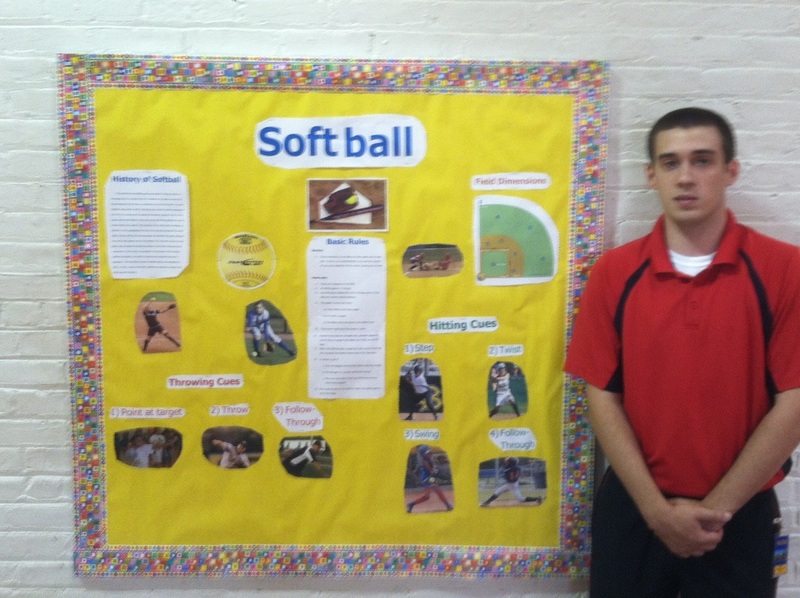 My EDU 256 Bulletin board was about softball. It showed the field dimensions and the positions of the players. The basic rules were in the middle of the board and a brief history is on the left side of the board along with cues for hitting and throwing. This goes under element 4.1 because it shows that as a teacher, I can provide non-verbal supplemental instruction to my students when they are not in class by looking at this bulletin board. If a student has a question and if I was not available for questioning, they may use a bulletin board as a way to possibly answer their question about the subject matter.